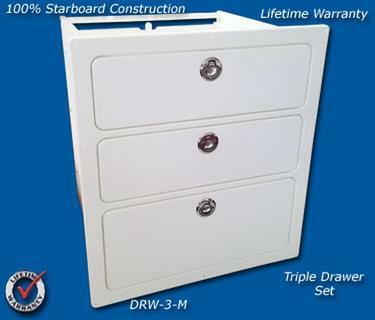 This triple drawer set is perfect for tackle, tools, and general boat storage. 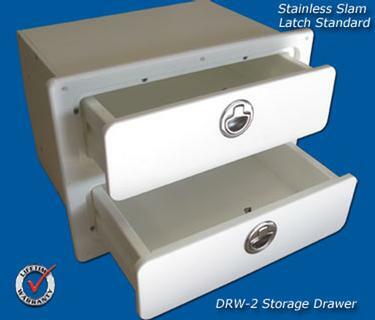 Includes stainless latches as standard equipment. 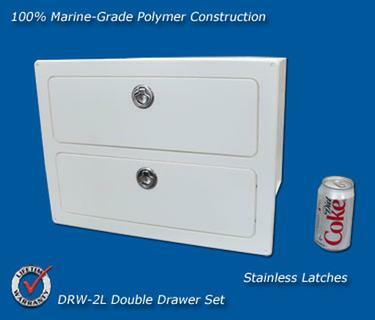 100% Starboard construction, don't settle for PVC parts in your boat. 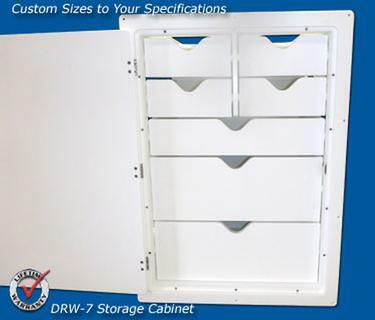 Overall size; 20" x 12" x 10" deep, cut out size; 18 1/2" x 10 1/2", drawers are approx. 9" x 7", bottom drawer is 4 3/4" deep and upper drawers are 3 1/4" deep. Contact us for a quick quote for custom sizes. 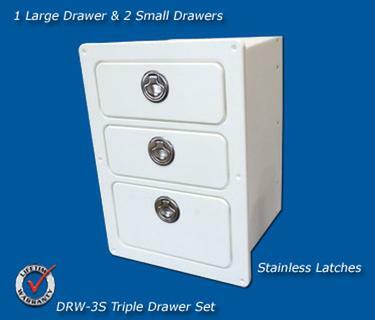 Another of our drawer designs with multiple size drawers for maximum versatility. 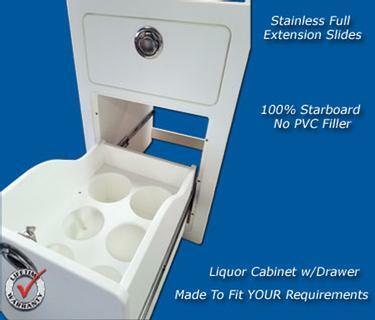 The same Starboard construction as all of our drawer sets, no PVC parts, this unit will give a lifetime of service. Need a different size? 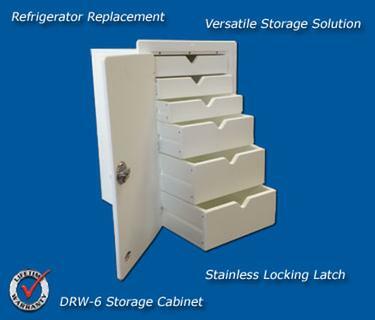 Call for custom fit made to spec for your space. 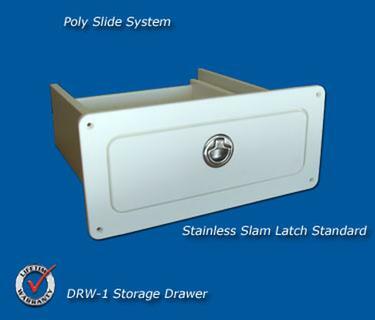 Removable dividers are available.